Toon Boumans is a Dutch craftsman who collects old bicycles, restores some of them and uses leftover bits and pieces for his whimsical creations – such as a pendulum clock. I came across this YouTube video, which demonstrates the workings of Boumans’ bike clock, and tried to glean some additional information by trolling the Internet. It seems that Mr. Boumans is a septugenarian who lives in Cuijk in the southern Netherlands. 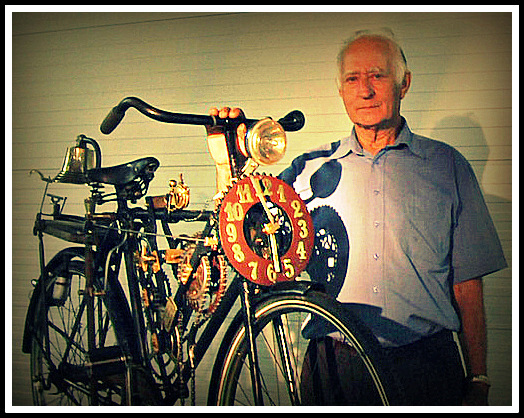 He has been collecting historical bicycles for about 45 years. Among the bicycles in his collection is a “fire bike,” with a coiled hose under the seat and used by firefighters. He bought the firebike at a flea market in Lille, France. He says it is more than 100 years old and was used by firefighters at an Italian oil refinery. Another prized piece is a World War II-vintage folding bike that was carried by paratroopers and then used for transportation once they landed. He says it took about three months to build his bicycle pendulum clock. A bell on the rear rack sounds on the half-hour. Two spirit levels ensure that the bike is level. And a small oilcan is on hand to lubricate the clock chains. Amazing Toon….I too am Dutch here in Holland Michigan…..see my Fire Bikes on UTUBE..I make History telling theme Bicycles…..entered ART show….Biggest in World placed 61 out of 1546 real Artist from all around World. Very busy building for others…thanks for sharing. WOW! 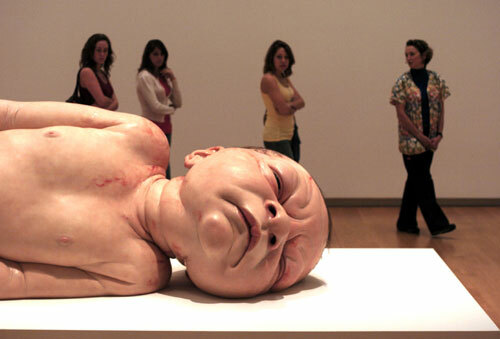 That is one amazing art piece right there! And it only took him 3 months to build it too! I wish I can be that talented!